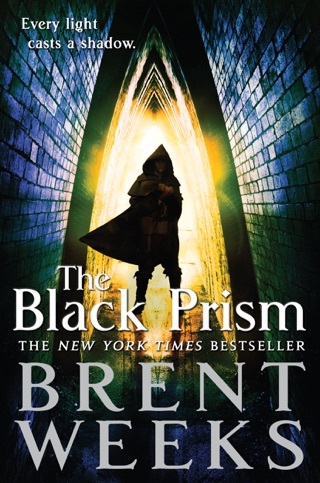 The nail-biting continuation to the Lightbringer series from New York Times bestseller Brent Weeks. 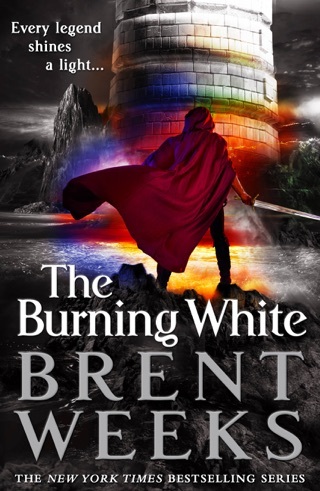 Bestseller Weeks keeps the pot simmering with many secrets revealed and much verbal sparring in this fourth volume (after 2014's The Broken Eye) of dramatic epic fantasy warfare in a land ruled by the ruling Chromeria, a council of color mages. Gavin Guile, trapped in the prison he built for his brother, negotiates with his devious father, Andross, for a chance to escape. Gavin's wife, Karris White Oak, is the most powerful member of the Chromeria; she also tries to join forces with Andross, the council's war leader, to stop the spreading rebellion led by her brother, the Color Prince, against the Chromeria's rule. The prince now styles himself the White King, and his forces are consolidating his victories and preparing for the next assault. 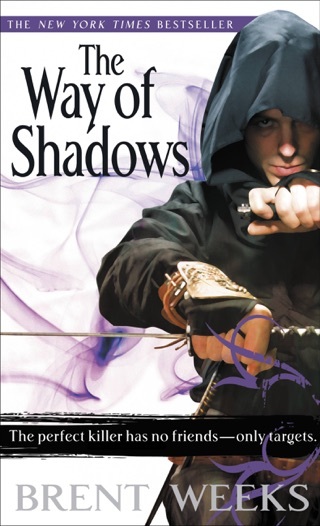 Kip, Gavin's adopted son, leads his own counterattack and struggles with a destiny that may force him to be the reformer of the Chromeria's official religion. Weeks deftly moves the pieces around his chessboard, snapping them with assured feeling onto their new squares in preparation for a climactic confrontation. Readers will need to pay careful attention to catch all the political and social machinations. To be honest, I remember rereading the first three books numerous times. This series offered a truly unique story, well paced narratives, with curve balls around every corner. It wasn’t the typical Eragon-level simplicity of obvious Good versus obvious Evil, Good winning all the way to the bank. There were complete & utter setbacks throughout, such as Garriston falling, the cards being found & then lost, Dazen losing his eye. Yet despite that the story continued, Kip always managed the victories where they counted, they moved forward. But you never _knew_ what was going to happen, so much was uncertain, in the air, so many curve balls past left you entranced trying to figure out what happened next, what secrets had been obscured from you. The Blood Mirror? Answers all your questions & more within the first few chapters of the book. Just gives it all the Hell away, & then starts pulling new concepts out of thin air with no basis in lore or buildup. Kip can draft Chi AND Paryl? Freaking WHAT?! We didn’t even know what Chi _was_ beyond a name, we have no idea how it works, what you need to be able to use it, why it kills drafters so quickly. And we know that you have to have very special, mutated eyes to draft Paryl, yet Kip can just _do_ it? WHAT? There was absolutely no buildup, & there’s a fine line between a masterfully executed curve ball & a horribly forced deus ex machina. One moment you’re agonizing through needlessly awkward marital troubles with Tissis, the next everything you know about drafting has been yanked out from under you. 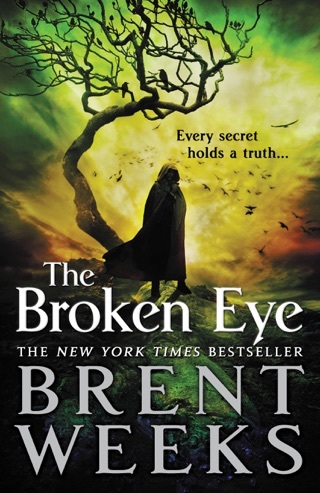 It all really started at the end of Broken Eye, with the crazy fallen angel appearance. I understand Weeks has to make a god analogy, he _always_ has to make a massive reference to Christianity in all of his works, but at least with the Night Angel trilogy there was subtlety. It was present of course, with a religious count & “Night ANGEL,” but the theme of the story itself was not obviously a theological metaphor. Religion was present, but religion wasn’t shoved down your throat. The angels in the Lightbringer series however, with Orholam & the crazy fallen-angel insect-thing, they came out of no where. 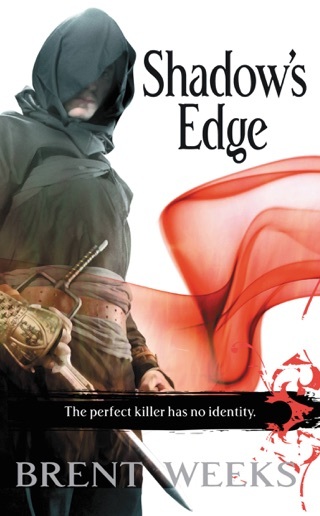 There was no subtle buildup to a great reveal, a moral lesson that even a non-religious reader can appreciate for its depth, like with Night Angel. No, this came out of thin air. The cards, I sort of understood them. It was enough, but transporting Kip to another freaking dimension out of no where?! 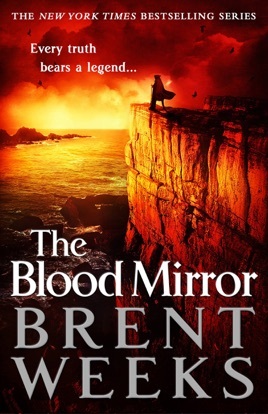 There was nothing to suggest such a thing could be remotely possible, & after that the analogy to angels & Satan became hamfisted & painfully obvious, leading to the travesty that was the Blood Mirror. The first three books were so complex, so masterfully paced & deep, I thought they would leave Night Angel completely in the dust. Night Angel was a great trilogy by Weeks, but even it did not have the truly awe-inspiring amounts of political intrigue & fleshed out lore. Oh sure, Night Angel had intrigue, but it was always conjured out of nothing. With Lightbringer, you come to understand _why_ the intrigue is the way it is, you understand the political landscape that gave birth to these events, you understand how the magic functions, how it makes the battles result in the way they do, & despite all that there’s still something just out of reach that has you constantly coming back for more. 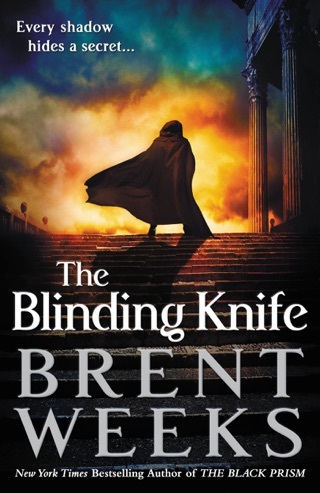 I thought Lightbringer would be the ultimate successor to the Night Angel trilogy, eclipsing all of Weeks’ previous work with a truly awesome slam dunk. The Blood Mirror threw all of that potential away. One’s just been waitin for you in the woods the whole time, never seen it before & they have no reason to serve you but they’ll loyally die for you anyway. Three-headed-dog-demon ex machina comin’ right up. Magic luxinstorm here you go. Totally gripping and full of suspense. Also answers a lot of questions and wraps up a few ties. Fast paced and action packed as expected from Mr.Weeks. Bring on the next book! 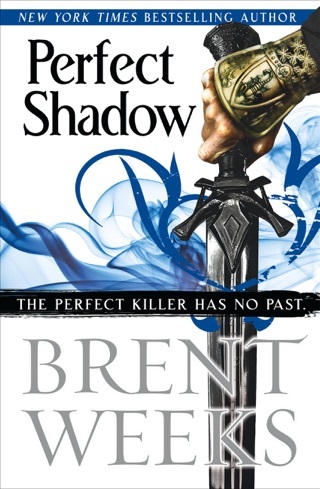 This book was a little slower paced than previous installments. However, it provided so much character development and story building that you hardly notice. A unique lore and relatable characters. Great read, cannot wait for next installment!